Derwent Edge lies above the Upper Derwent Valley in Derbyshire. The edge itself is a millstone grit escarpment with notable views of the Derwent Valley and Dark Peak langscape. 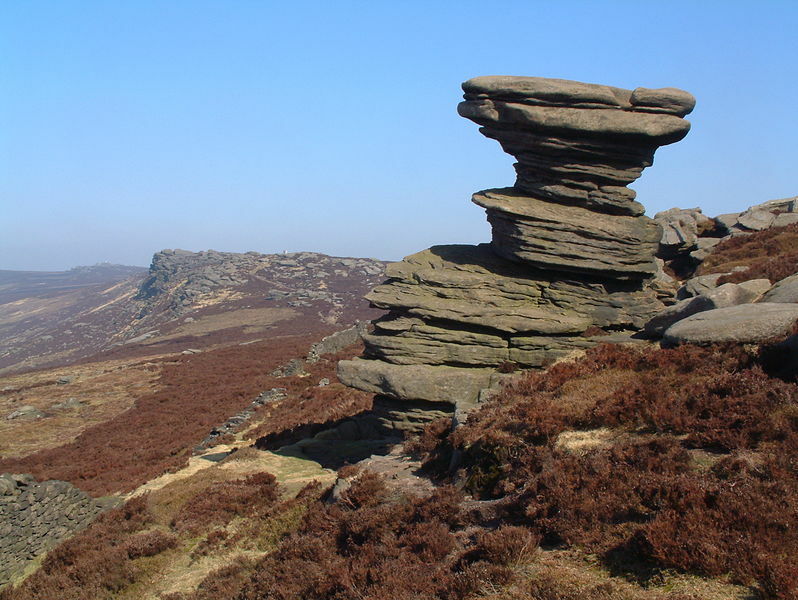 It includes many examples of unusually shaped tors formed by erosion and frost over many centuries. Thanks to Rob Bendall for the photo.